WHAT IS THE SCREEN CULTURE FUNDING PROGRAM? Screen Queensland is committed to building a dynamic and vibrant screen culture in Queensland and celebrating the art of filmmaking. Our purpose is to grow the screen industry and contribute to the economic and cultural well-being of Queensland. Rounds are open twice annually to support activities occurring each financial year. Successful applicants are provided with a funding grant to assist with the costs of running their event or project. Read more about previous Screen Culture Funding recipients. 1 – Up to $75,000 per annum is available for significant cultural festivals and events. Events seeking funding under this category must apply under Round 1. 2 – Up to $25,000 is available for Touring Festivals visiting over 6 regional centres. 3 – Up to $8,000 is available per application for festivals. · Applications not for less than $2,000 for a single project. · Festivals that can provide evidence and track record of Queensland audience attendance above 10,000 may be eligible for funding for two (2) concurrent years. Funding is capped for projects of cultural significance and touring film festivals. Grants offered to successful applicants for festivals will generally be in the range from $2,000 to $8,000. Funding is competitive and to ensure Screen Queensland can support a broad range of events, often funding allocations are less then requested amounts. Screen Queensland determines levels of funding on a case-by-case basis and reserves the right to vary the amounts applied for by applicants. Also noting that the assessment process and the total demand on available funds will determine the level of Screen Queensland’s funding commitment within each round. Any individual, business; and/or organisation providing benefits to Queensland screen culture. 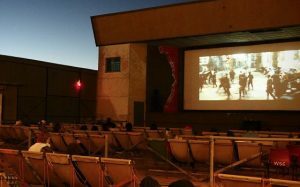 Public events that seek to engage and inform Queensland audiences about screen culture activities and promote film as a cultural experience and facilitate an understanding of the Queensland and Australian screen industry. Workshops and Conferences may be eligible for funding where it engages the industry and the general public. Tours and/or visitations by leading filmmakers about projects of significance to screen practitioners that foster debate, discussion and peer contact. Travel to attend international film festivals for film screenings. Demonstrate that they have the appropriate capacity, experience and track record to develop and implement their event proposal. Demonstrate that the event proposal fulfils a need and interest in the community and how it will provide new opportunities for Queensland industry and or public and evidence of community support. The business plan should demonstrate the viability of the applicant’s ability to implement and achieve the financial and event milestones, viability and ability to implement the marketing plan and contingency plans for the proposal. Demonstrate the viability and ability to implement a marketing plan and indicate if there is any media support if relevant. The Finance plan and business plan should demonstrate any third party finance, for example any sponsors and plans to develop relationships in the private sector to support the development and delivery of the event. Applicants who have any outstanding acquittal reports or who have not fulfilled their obligations from a prior screen culture program with Screen Queensland are not eligible to apply. Round 1: for festivals and events taking place between 1 July 2019 to 31 December 2019. Applications close 5pm (AEST) (QLD) Monday, 18 March 2019. Round 2: for activities occurring 1 January to 30 June 2020. Applications open in mid 2019. Applications are made using Screen Queensland online smarty grants application systems. Please allow for system down time or internet service provider problems when completing your application and save the application regularly. Please note late applications cannot be accepted. Screen Queensland reserves the right to not accept incomplete applications. Application material will not be returned by Screen Queensland. An automated application email will be sent to you within 30 minutes as confirmation that Screen Queensland has received your application. It is the applicant’s responsibility to contact Screen Queensland if you do not receive an application receipt email. Clearly demonstrate how the requested funding will be used to achieve the business plan’s objectives. Viability and ability to implement and achieve financial milestones. Financing plans for the development and production of the event. Viability and ability to implement marketing plan. Demonstrate showcasing of diverse screen content that the community would not otherwise have access to. Quality and viability of the proposal, does it fulfil a need and/or interest in the community. Background information on the event. Explanation of how the event will present new opportunities for Queensland filmmakers and the public. Demonstrate how it aims to maximise Queensland and/or Australian screen content in the program. Clearly demonstrate the expected levels of audience attendance. Marketing plan is appropriate to the scale of the event and provides a clear strategy for attracting attendees. Financing plans for the marketing. Level of media support, if any? Previous performance and delivery of similar events. Previous career and professional development success and any awards, professional and industry recognition. The network of business relationships to allow the business and event plans to be achieved. Expertise and skills of the applicant and their ability to successfully realise the business plan. Demonstrated relationships with or plans to develop relationship in the private sector to support the production and sustainability of the event. Evidence of third party cash and in-kind contributions including private equity. The equipment and facilities available to deliver applicant’s business plan. Applications will be assessed by two readers and possibly one external assessor, depending on the needs of the project. 5 – Excellent: The assessment criterion is of a high standard and the proposal is thorough and substantiated with relevant materials. 4 – Good: The application is of a moderate to high standard and has provided relevant materials to support the proposal. 3 – Acceptable: The application is consistent and acceptable – proposal is adequately supported with materials. 2 – Marginal: The application has not fully met the assessment criterion and the proposal remains unclear and unsubstantiated. 1 – Poor. The application has not met the assessment criterion and the proposal is unclear and no relevant materials are provided. Screen Queensland publishes the names of its external assessors on our website and applicants should indicate any conflicts of interest in writing, at the time of lodging the funding application. Applications will not be assessed until all of the relevant materials have been provided. Screen Queensland aims to make funding decisions within 6 weeks of an application being lodged and will advise applicants in writing of the outcome of their application. WHAT HAPPENS WHEN MY APPLICATION IS SUCCESSFUL? Successful applicants will be sent a letter of offer with the grant of amount available for their event and outlining the next steps. Applicants who accept the grant offer will then be required to enter into an agreement with Screen Queensland outlining the specific deliverables required. Successful funding applicants must provide detailed reporting and acquittal information on the activities undertaken which will be negotiated between the successful applicant and Screen Queensland at the time of contracting. A specific drawdown schedule will be agreed between Screen Queensland the successful applicant. Payment of of the grant will only me made on the receipt of a valid Tax Invoice. Please review the check-list at the end of the application form. Incomplete applications will not be assessed. Applicants are welcome to provide additional material where they believe it will be beneficial to the application. Screen Queensland will inform you in writing of any missing materials and you will have ten business days to supply the missing documents, after which the application will be deemed to have been withdrawn. WHAT DO I DO IF I’VE READ THIS AND WANT TO TALK IT THROUGH? Email Screen Queensland at screenculture@screenqld.com.au outlining your query and giving your full name and contact details. WHO IS THE PROGRAM CONTACT?